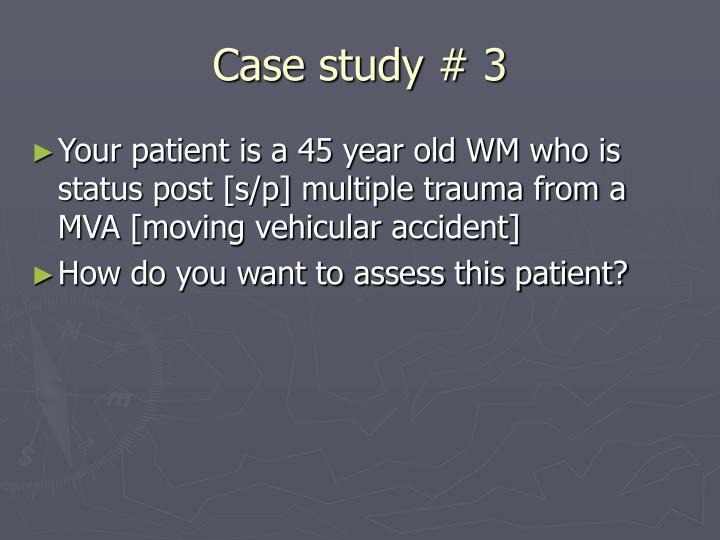 Your patient is a 65 year old WF who just had pelvic surgery. 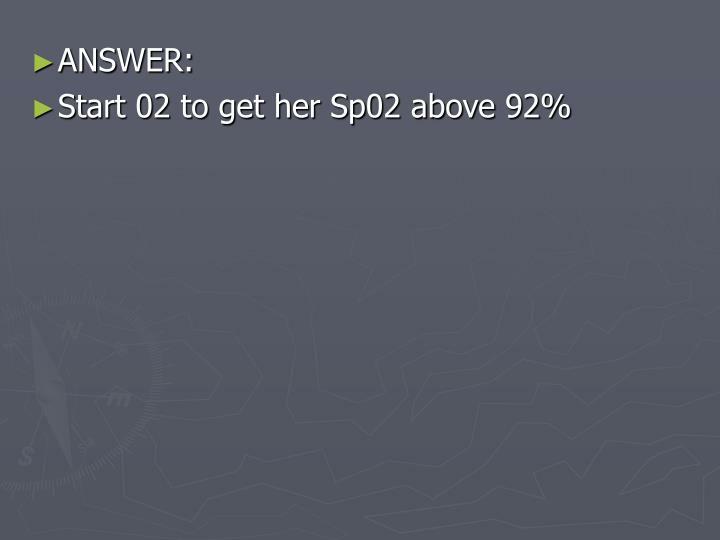 She is in traction. 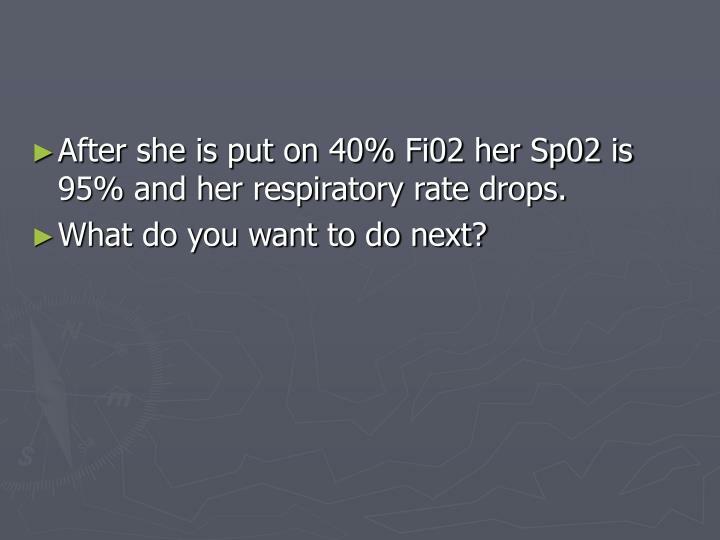 To treat her effectively, what do you want to assess at this point? 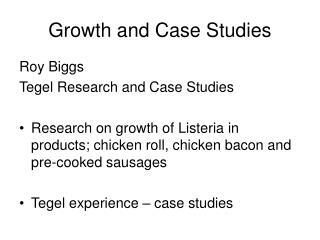 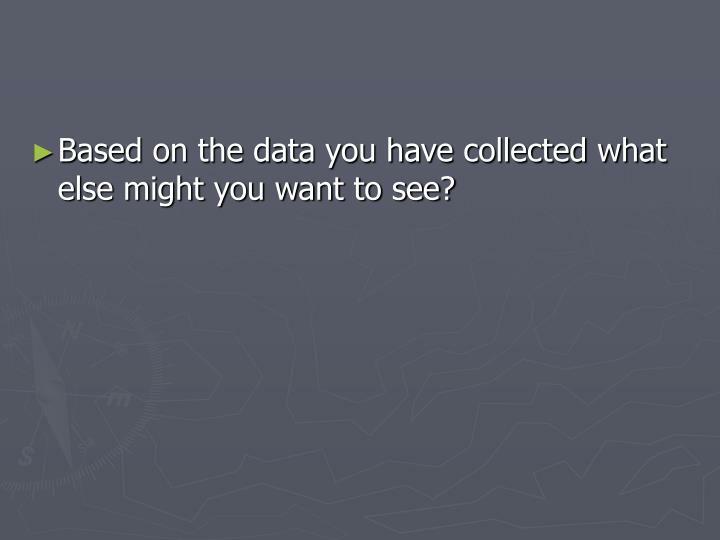 Based on the data you have collected what else might you want to see? 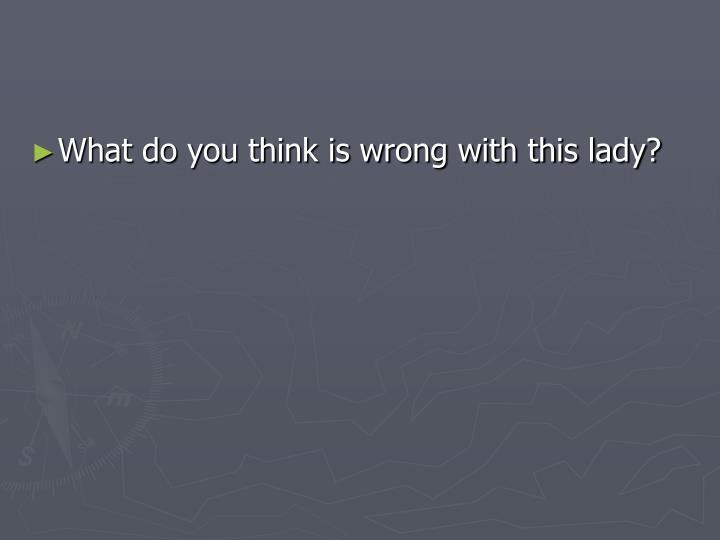 What do you think is wrong with this lady? 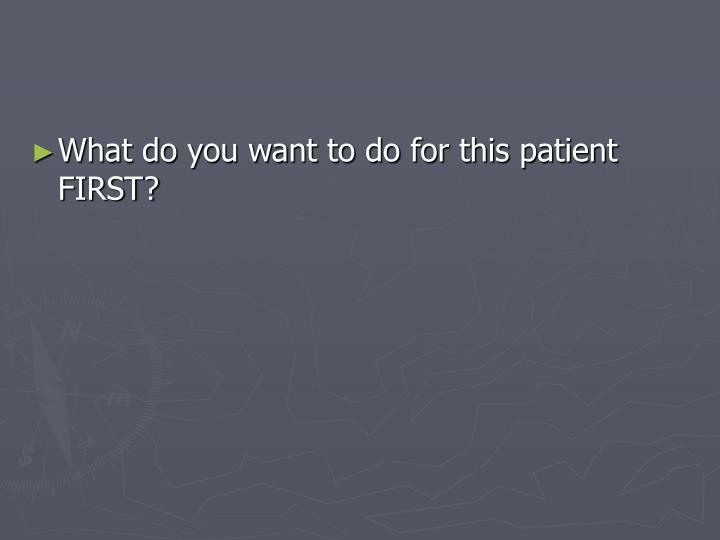 What do you want to do for this patient FIRST? 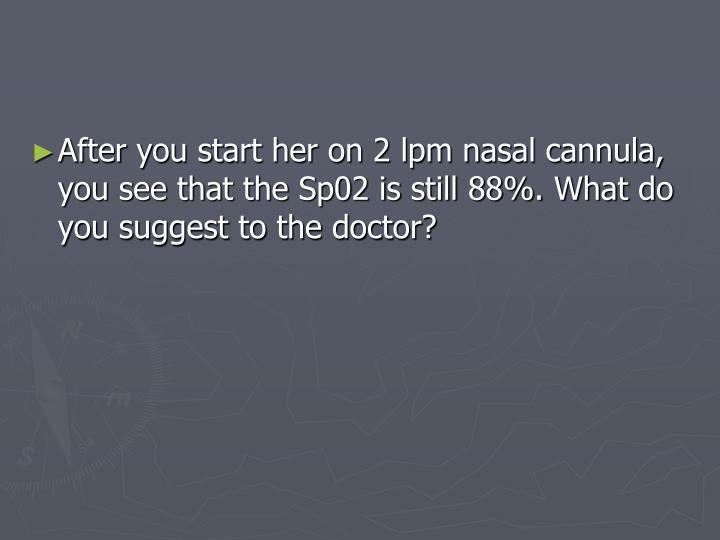 After you start her on 2 lpm nasal cannula, you see that the Sp02 is still 88%. 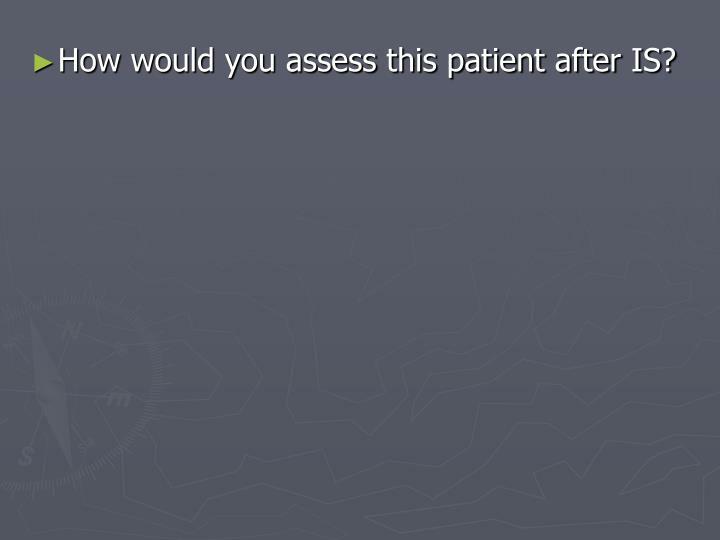 What do you suggest to the doctor? 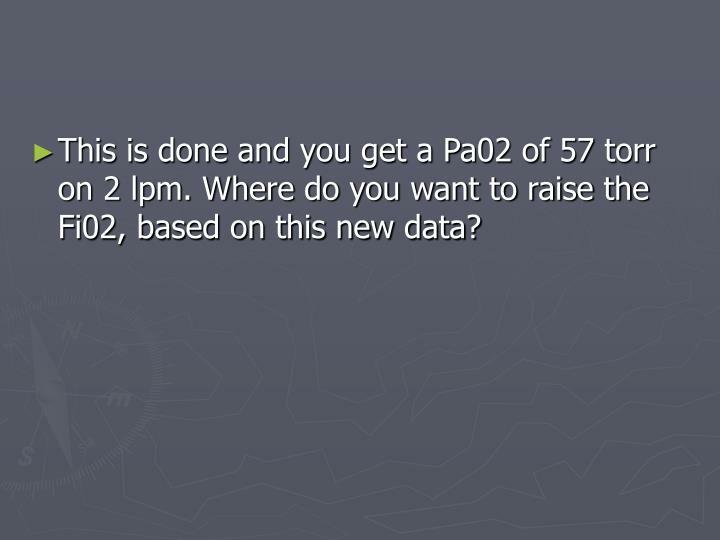 This is done and you get a Pa02 of 57 torr on 2 lpm. 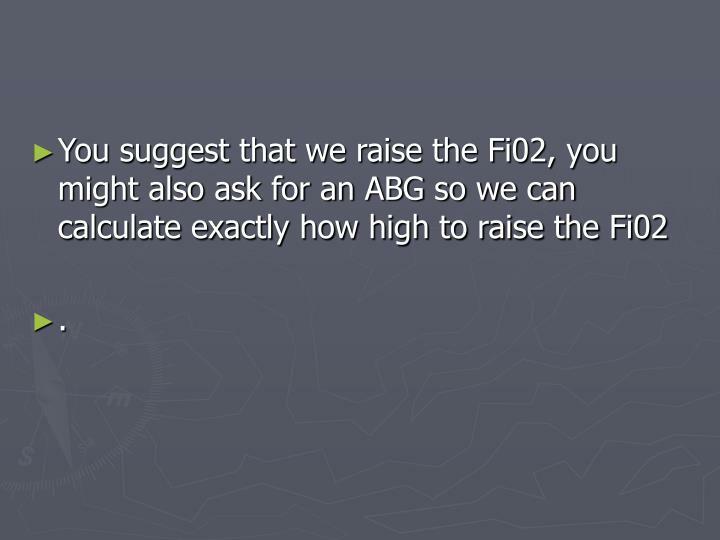 Where do you want to raise the Fi02, based on this new data? 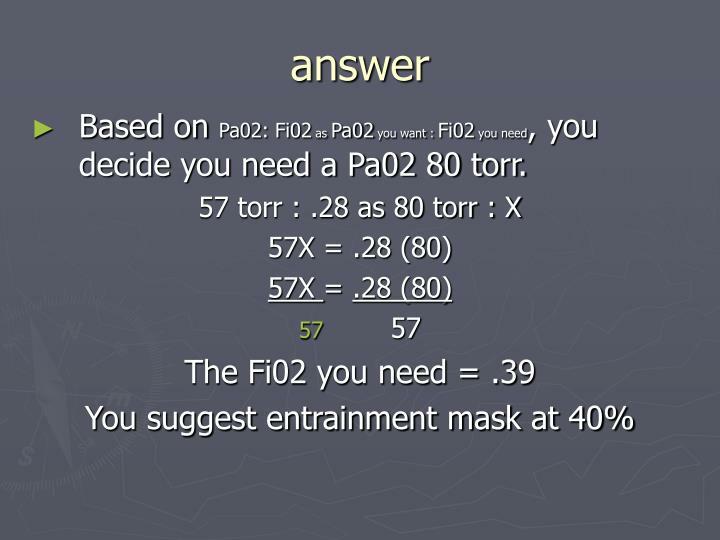 Based on Pa02: Fi02 as Pa02 you want : Fi02 you need, you decide you need a Pa02 80 torr. 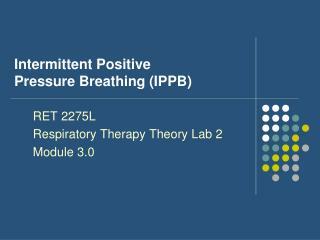 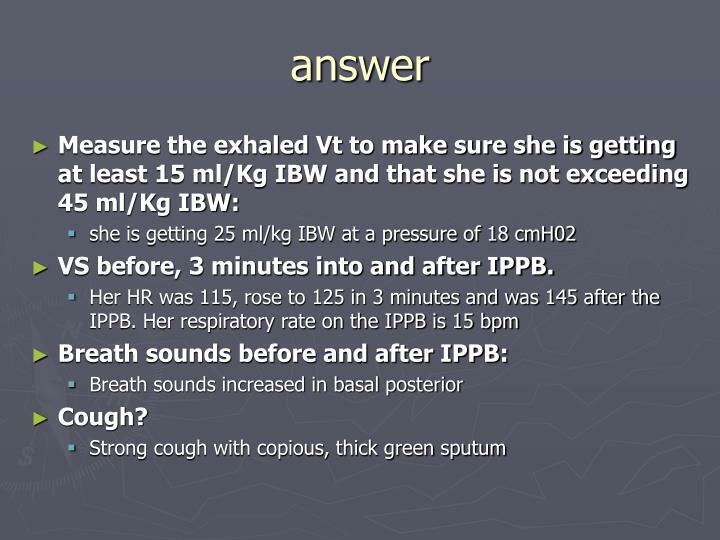 After she is put on 40% Fi02 her Sp02 is 95% and her respiratory rate drops. 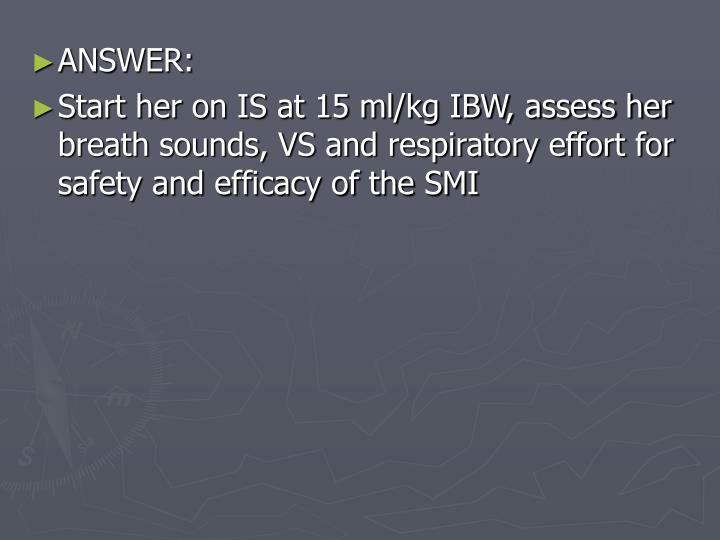 How would you assess this patient after IS? 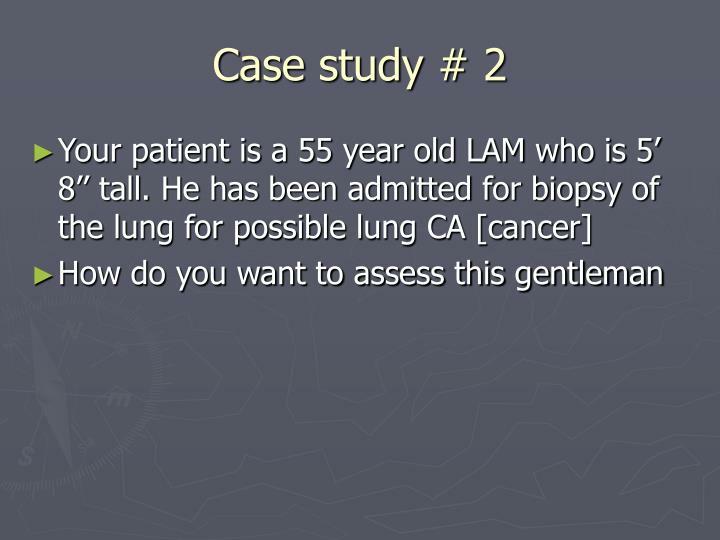 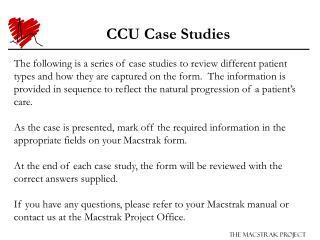 What do you want to assess now in order to treat this patient effectively? 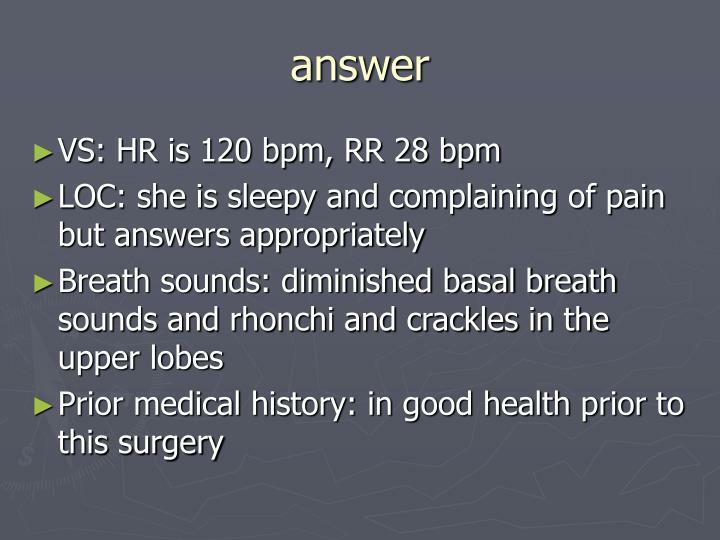 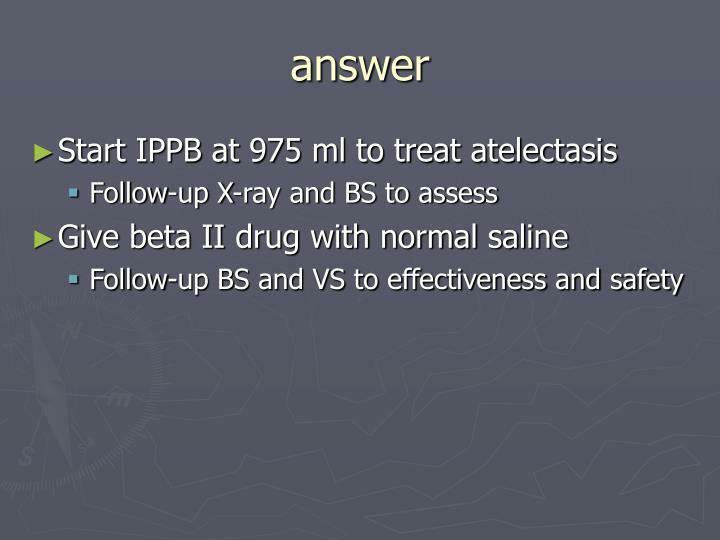 Based on the information in the last slide, what do you want to suggest to the doctor? 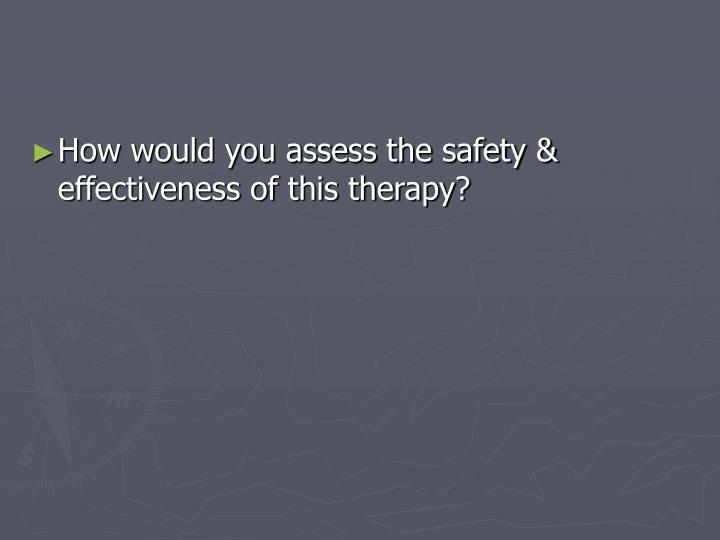 How would you assess the safety & effectiveness of this therapy? 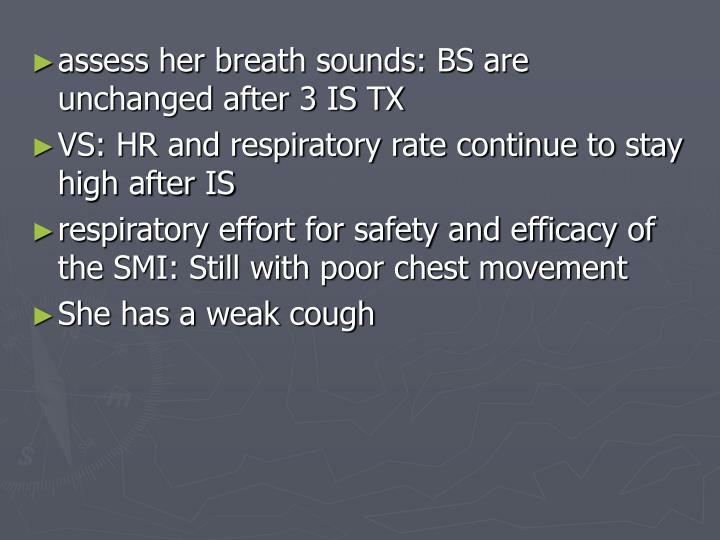 VS before, 3 minutes into and after IPPB. 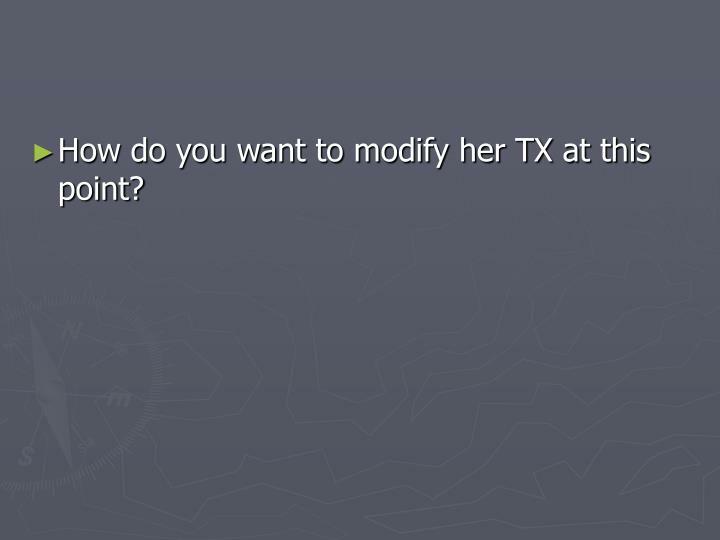 How do you want to modify her TX at this point? 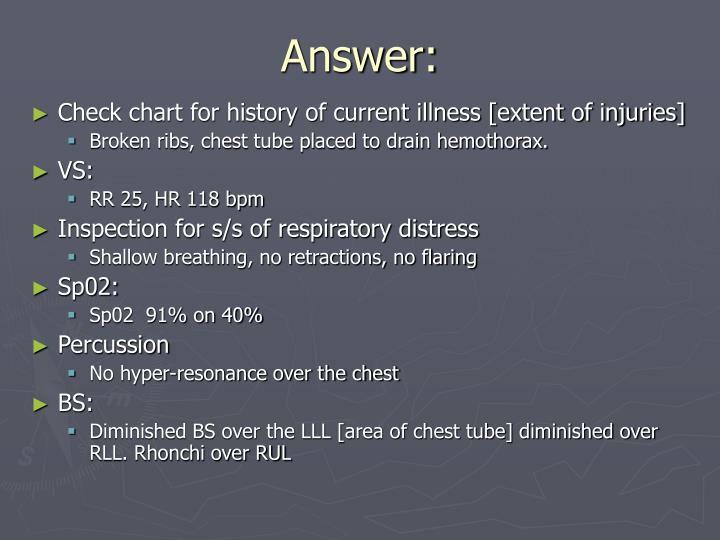 Scattered rhonchi to all lobes and wheezes over the RML. 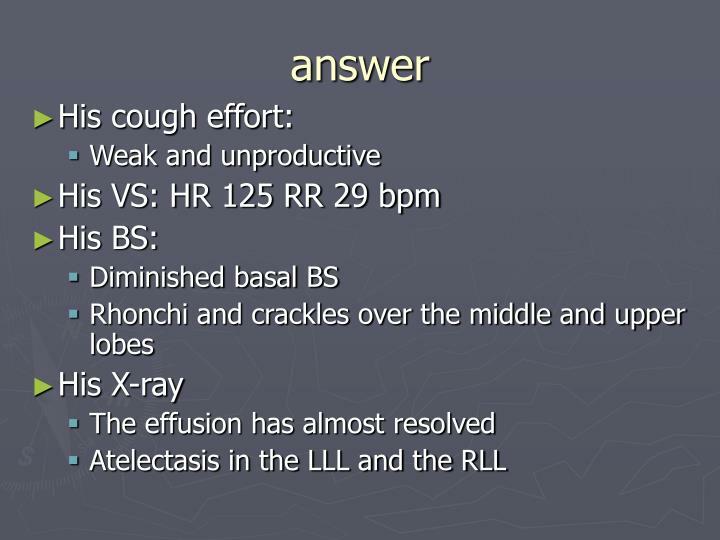 A plural rub over the LLL. 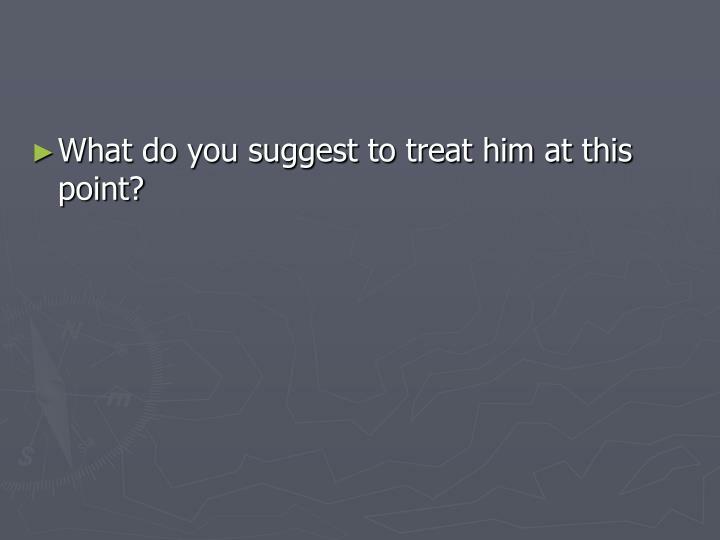 What do you suggest to treat him at this point? 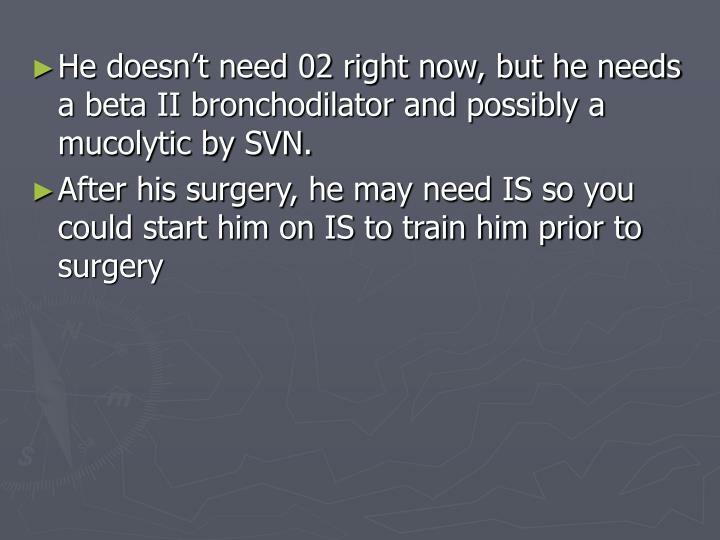 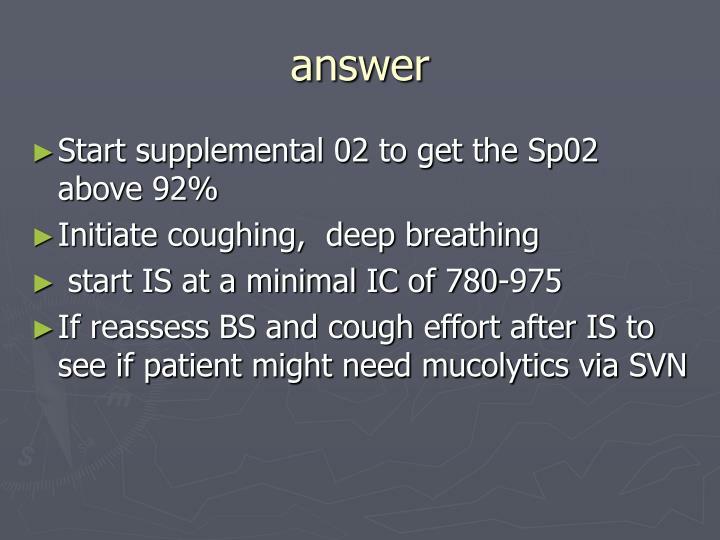 He doesn’t need 02 right now, but he needs a beta II bronchodilator and possibly a mucolytic by SVN. 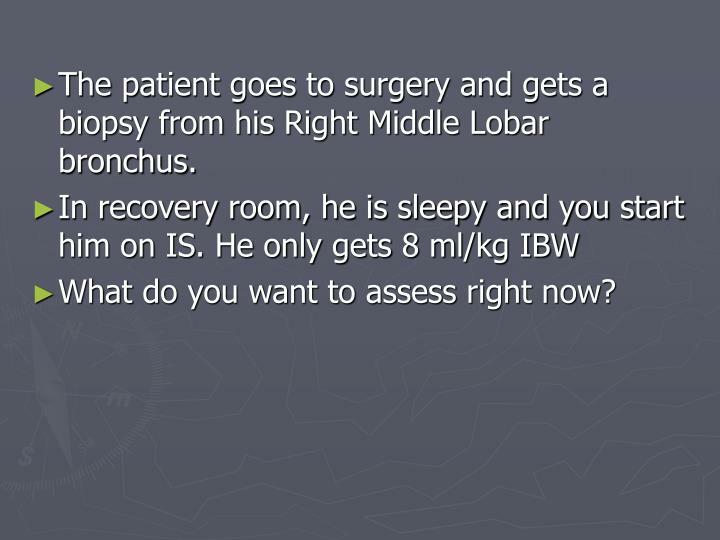 The patient goes to surgery and gets a biopsy from his Right Middle Lobar bronchus. 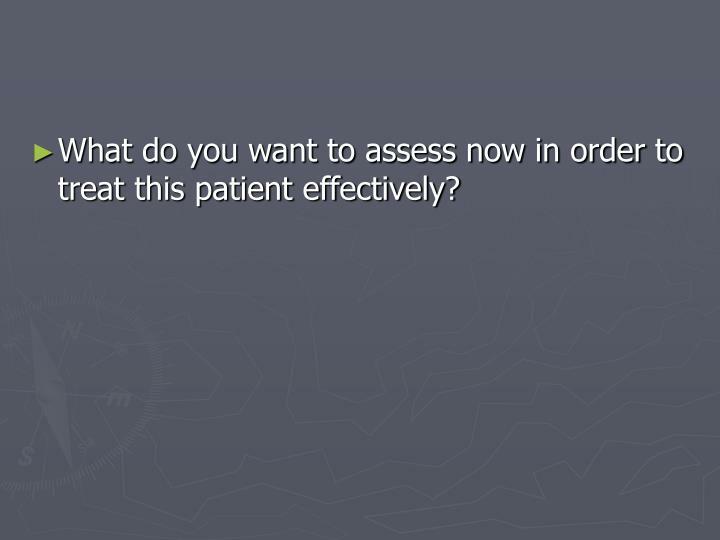 What do you want to assess right now? 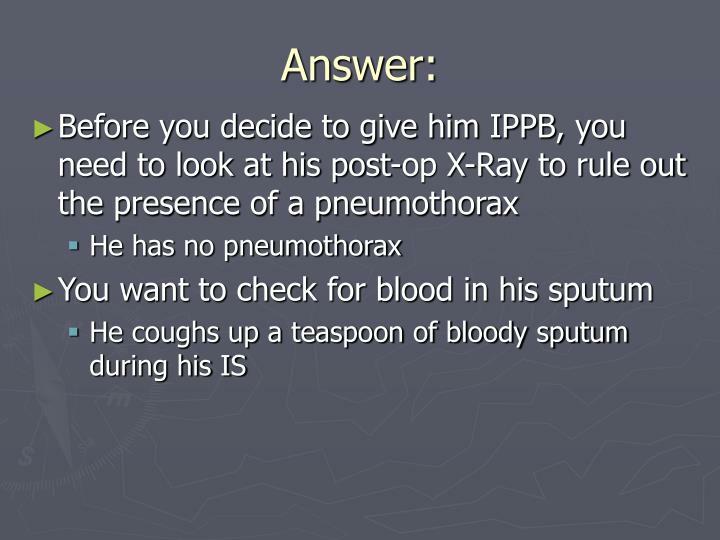 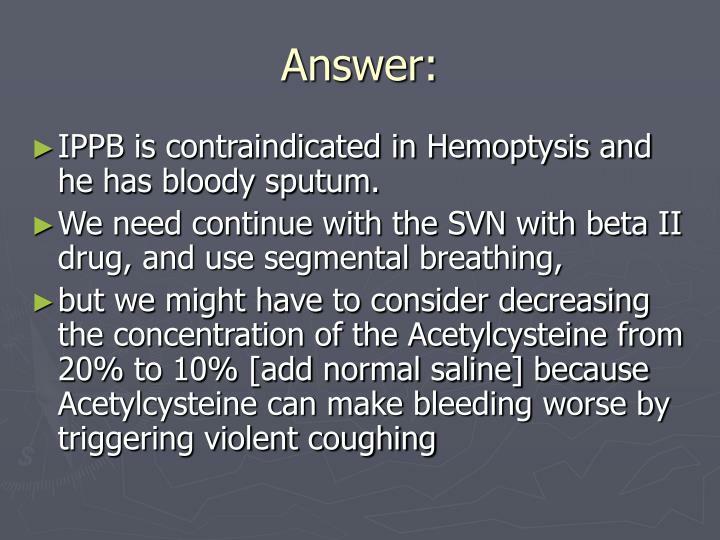 IPPB is contraindicated in Hemoptysis and he has bloody sputum. 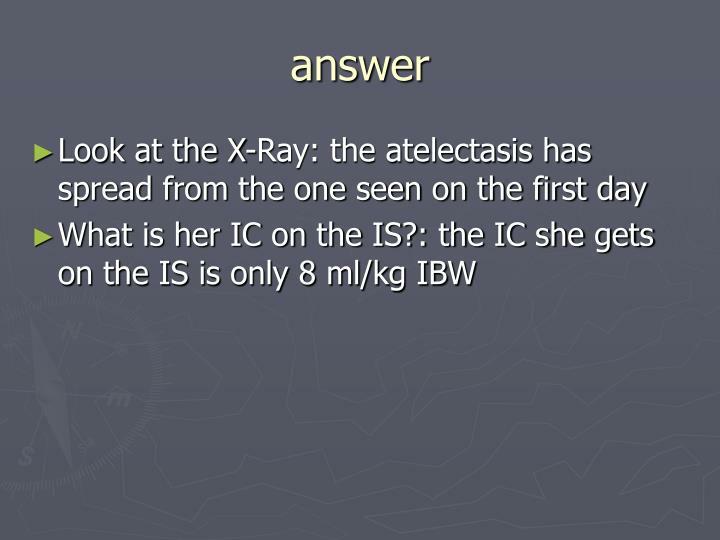 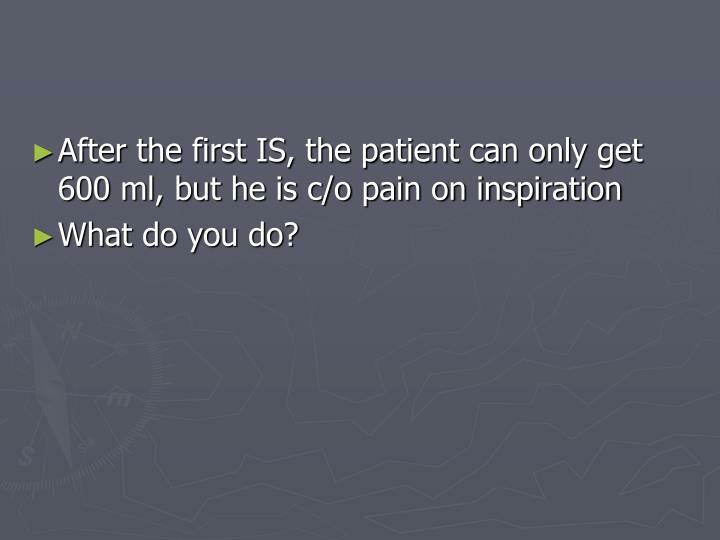 How do you want to assess this patient? 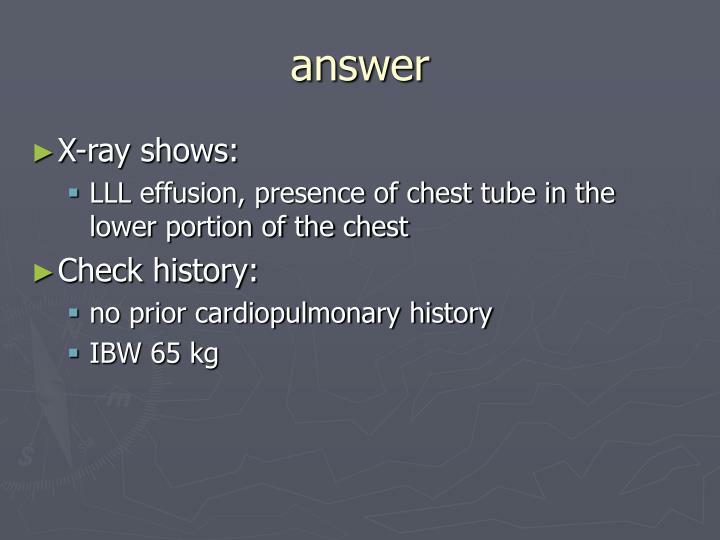 Broken ribs, chest tube placed to drain hemothorax. 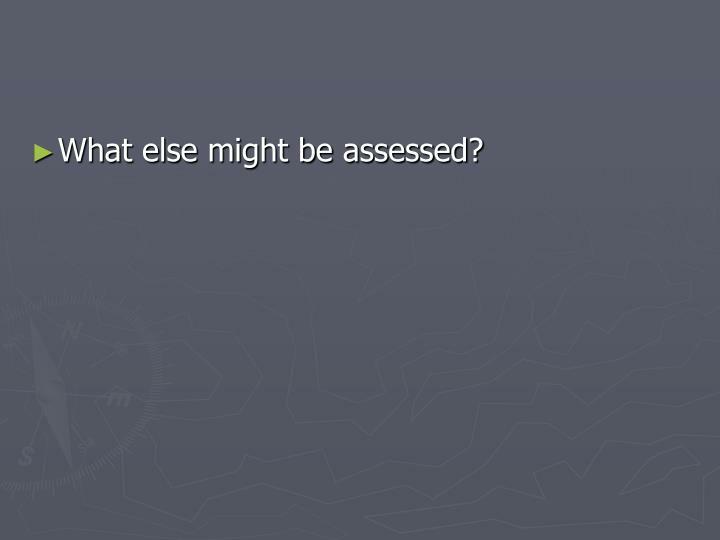 What else might be assessed? 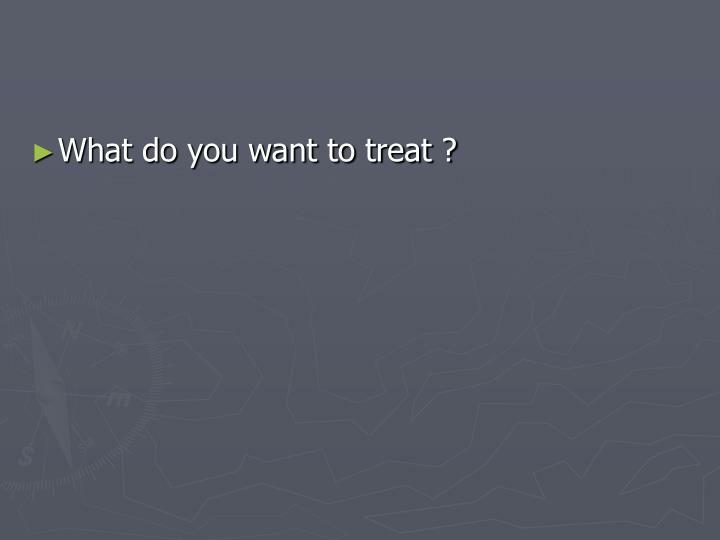 What do you want to treat ? 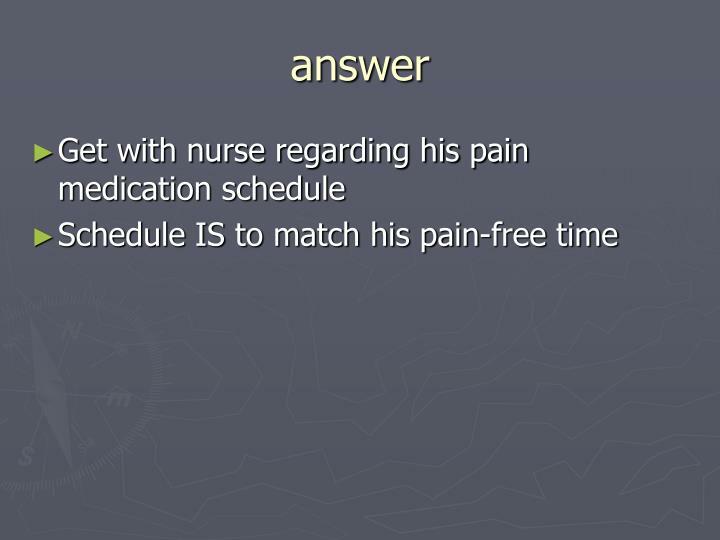 Patient’s pain medication is increased and he is sleepy and co-operative. 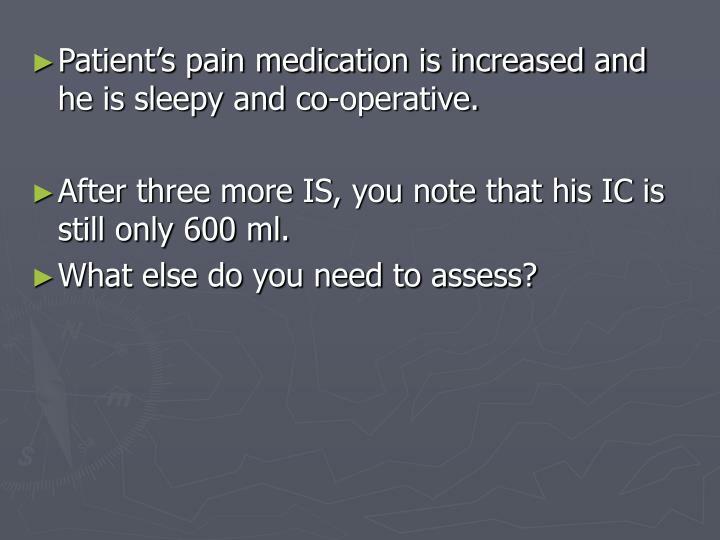 After three more IS, you note that his IC is still only 600 ml. 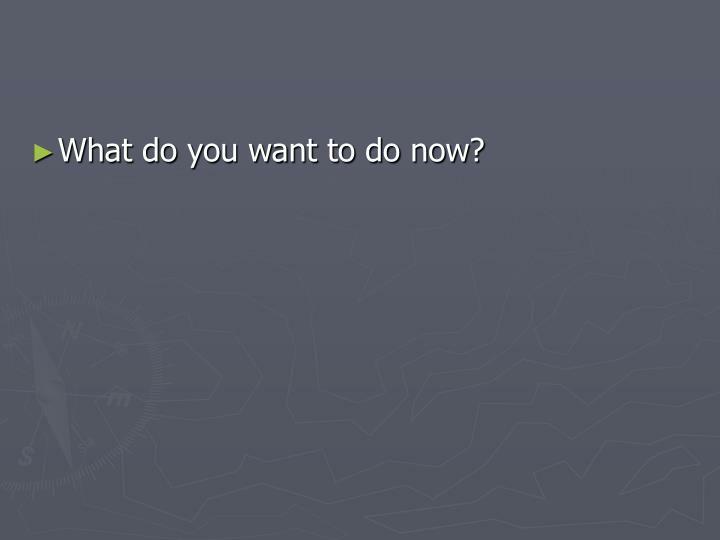 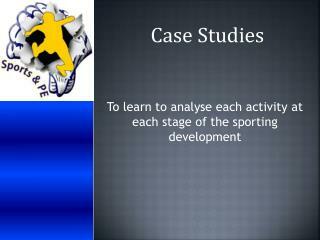 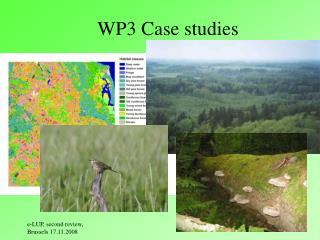 What else do you need to assess? 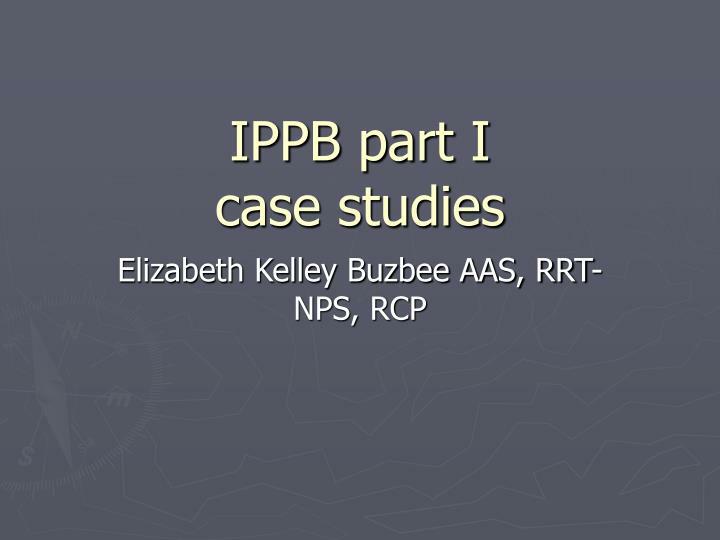 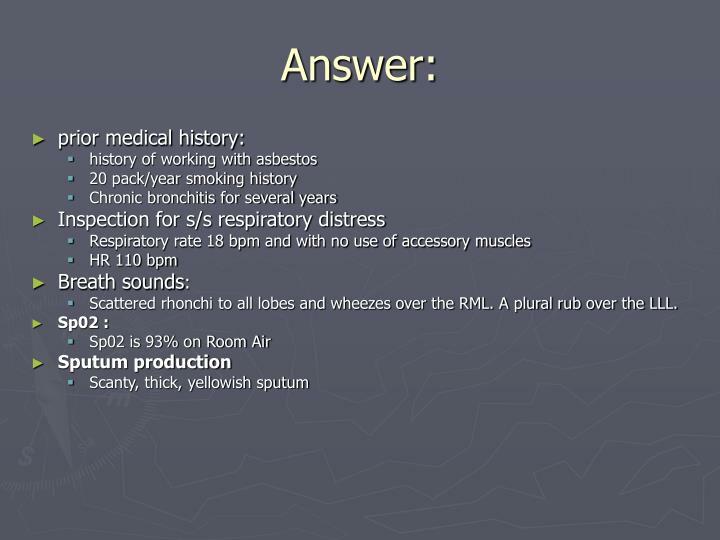 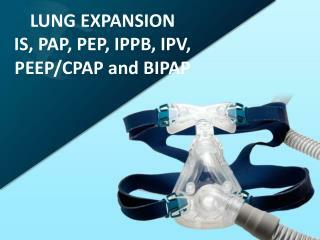 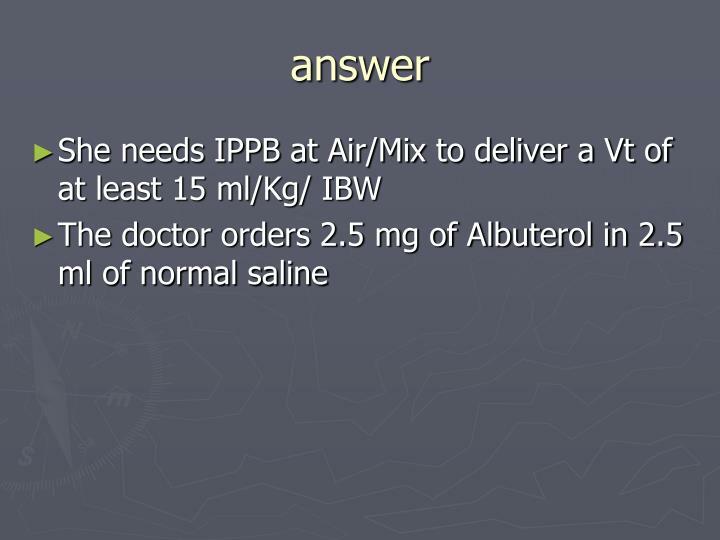 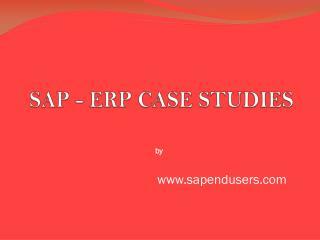 LUNG EXPANSION IS, PAP , PEP, IPPB, IPV, PEEP/CPAP and BIPAP -. 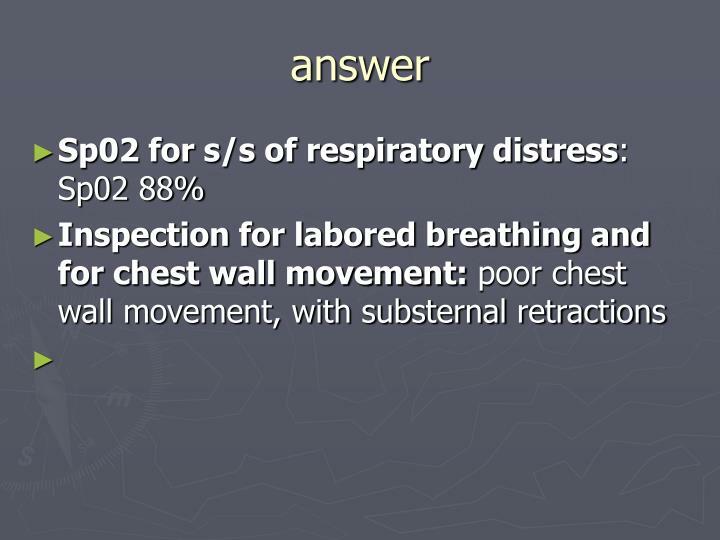 atelectasis. 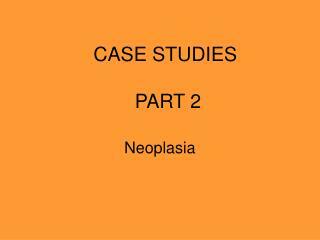 causes surgery upper abdominal surgery risk greater than lower abdominal thoracic surgery. 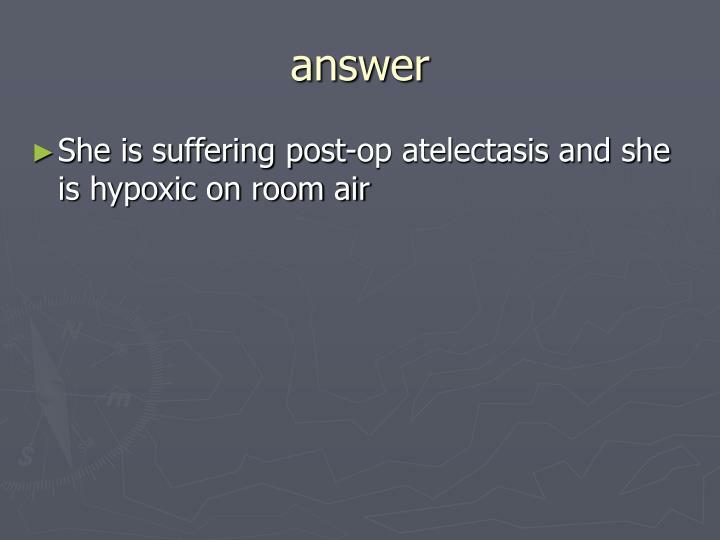 atelectasis. 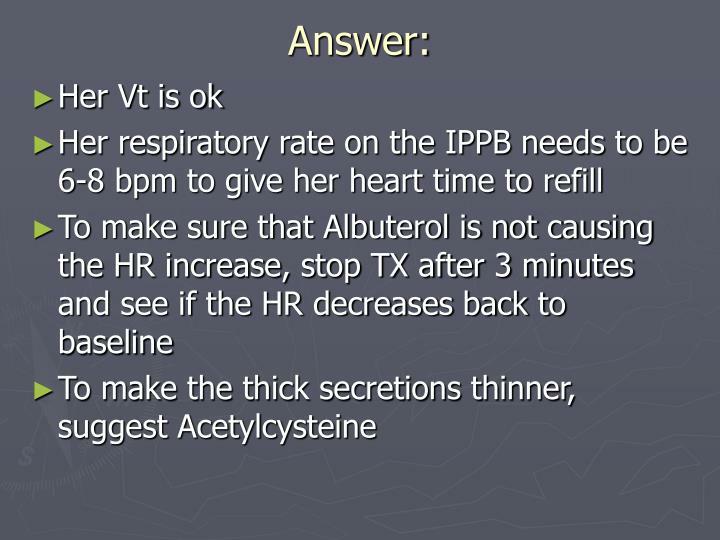 causes obesity neuromuscular disorders sedation. 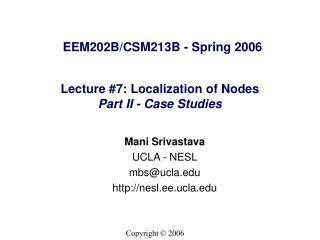 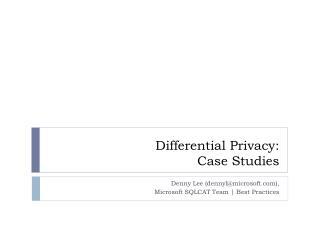 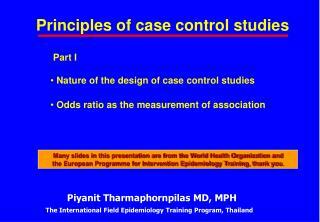 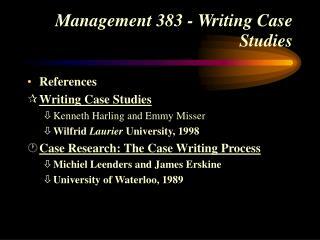 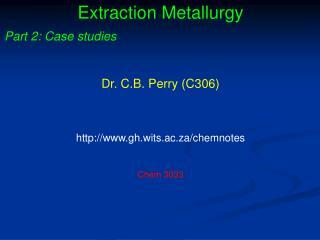 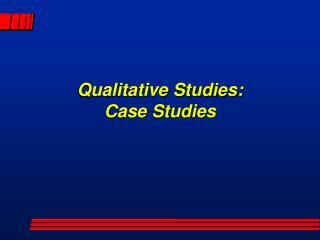 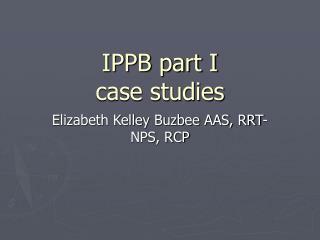 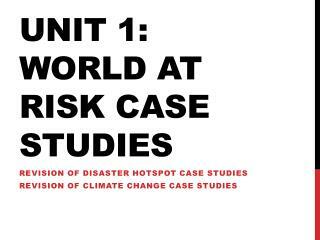 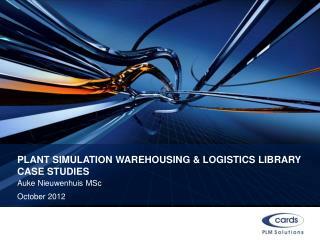 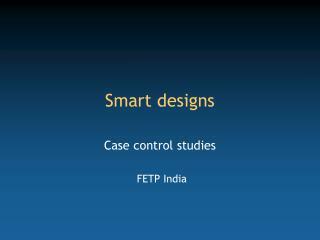 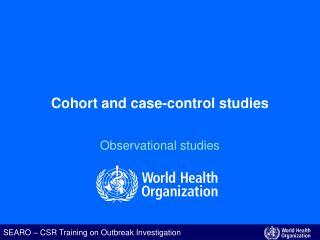 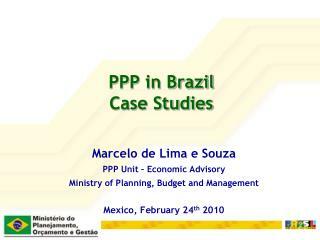 Lecture 9: Case-Control Studies -Epi-546 block i. lecture 9: case-control studies. 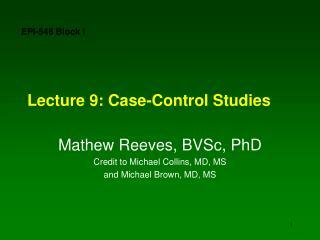 mathew reeves, bvsc, phd credit to michael collins, md, ms and michael brown, md, ms. observational studies. 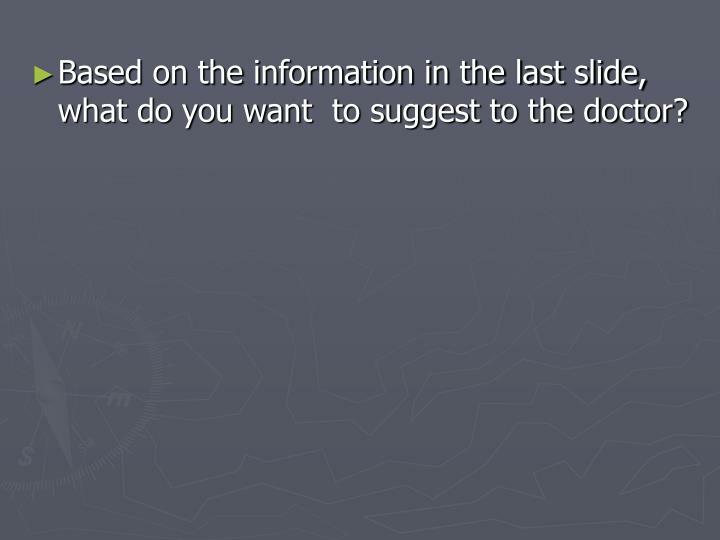 = investigator has no control over exposure.